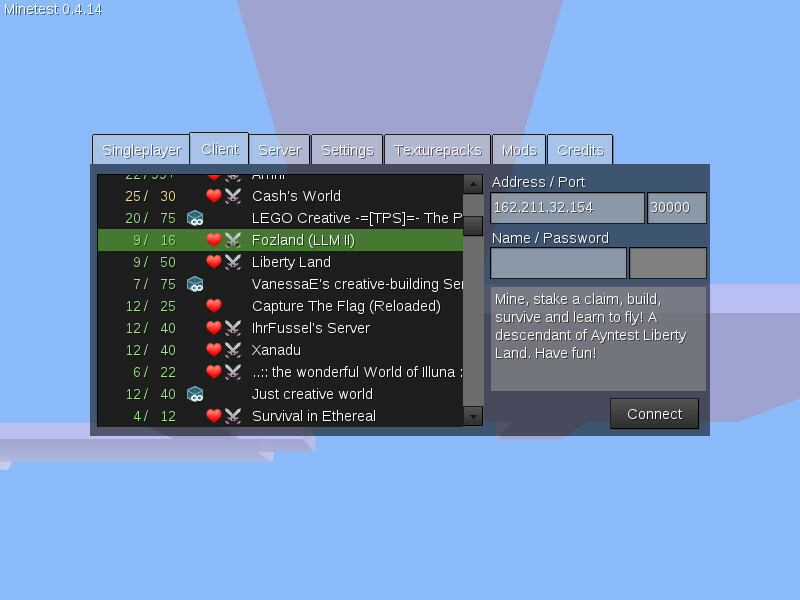 Minetest's main menu in 0.4.14, showing the client tab and the server list. current 21:24, 26 July 2016 800 × 600 (77 KB) Wuzzy (Talk | contribs) Minetest's main menu in 0.4.14, showing the client tab and the server list. This page was last modified on 26 July 2016, at 21:24.